Freedom Of Speech Under Attack — By the Pope? 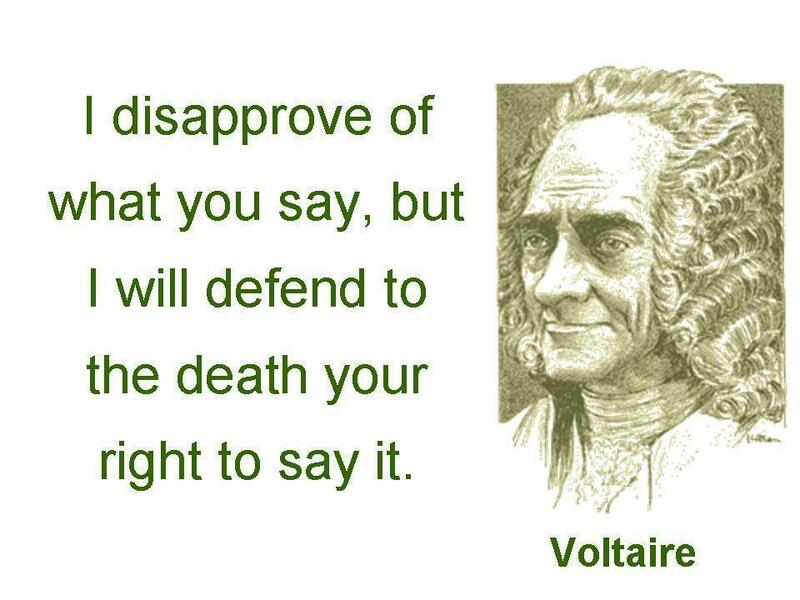 Freedom of speech is under attack worldwide. The attack is being spearheaded by Islamic apologetic groups like CARE who want all disparaging remarks about Allah, Mohammed and Islam itself to be outlawed. That would server their purpose well — to quash anything negative people have to say about their belief system. But I never thought I’d hear anyone in Christian leadership say anything to restrict people’s freedom of speech. Now the Pope has come out suggesting that freedom of speech doesn’t include the right to belittle others’ faiths. Hmmm… I think all the Biblical prophets decried false belief systems and some even went further and physically destroyed their idols and temples. I’d like you to read the Biblical account of Elijah and the prophets of Baal which illustrates a powerful prophet of God mocking the false god Baal. I Kings 18:1-40 So Obadiah went to meet Ahab and told him, and Ahab went to meet Elijah. With the stones he built an altar in the name of the Lord, and he dug a trench around it large enough to hold two seahsa of seed. Now tell me what’s the difference between this and drawing a cartoon that mocks Allah or Mohammed? The comparison I’m making is even closer than you think. If you research Allah and Baal you will see the connection. I included verse 40 above to show you what a true man of God did to false prophets in Old Testament times. As Christians today we are not to resort to violence to cleanse the land of counterfeit gods and belief systems, because our battle is not physical, as it was in the Old Testament, but is spiritual. Ephesians 6:10-13 Finally, my brethren, be strong in the Lord, and in the power of his might. Our warfare is carried out spiritually and words — yes words — are our ammunition. God’s Word specifically is our “sword of the spirit” by which we not only defend but advance the true gospel of Jesus Christ. Any society that restricts people’s God-given freedom of speech does so to prevent it’s people from speaking against the government of that society. 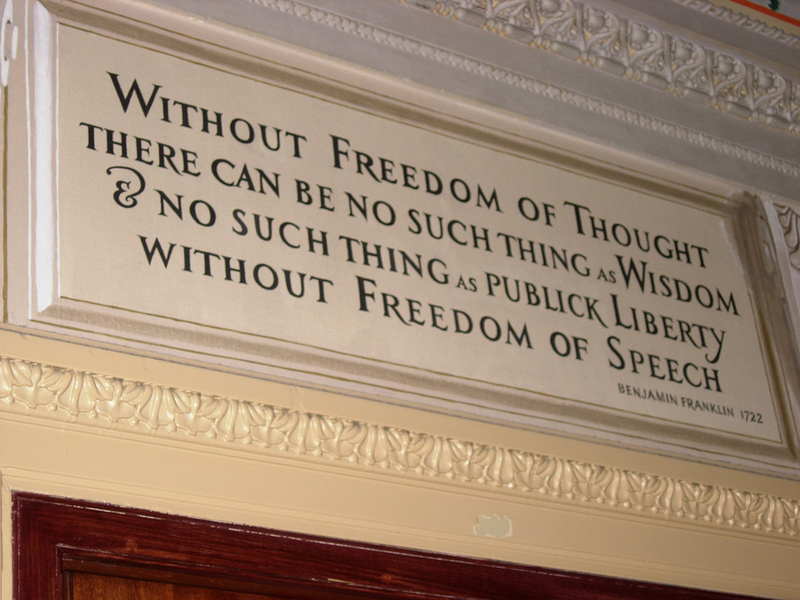 The entire reason we have freedom of speech is to give us the ability to dissent. It’s the only form of control that prevents the free exchange of ideas. Without the free exchange of ideas, nobody can say anything against what someone else says and does. Dissent is healthy and dissent promotes progress. Let’s look at a definition of Dissent. hold or express opinions that are at variance with those previously, commonly, or officially expressed. the expression or holding of opinions at variance with those previously, commonly, or officially held. When you take away the right to dissent, you take away all opposition to whatever it is you want to do. This is why the highly influential Muslim think tanks are trying to get United Nations laws passed to restrict saying anything against their god and their prophet. But would they observe the same thing? Of course not. CARE wants to restrict any form of expression of Christianity period. They made a statement saying they were offended because the Seahawks football team was seen praying after their playoff game last Sunday. According to CARE, that should not have been televised. 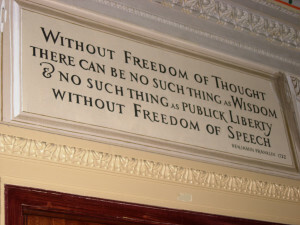 Without freedom of speech there is no freedom, it’s as simple as that. Freedom of speech is the only thing that allows us to challenge things that are wrong. When you take that right away, you have paved the path to dictatorship and even more oppression. We need to defend our God-given right to free expression no matter who says it should be curtailed. Respect is one thing, but I do not respect error and will continue to speak out on behalf of the truth. I invite you to join in. A Christian’s Religious Speech NOT a Legally Protected Right? I just read an article that disturbs me. We live in the United States of America where we are guaranteed both the freedom of religion and the freedom of speech by the First Amendment to the United States Constitution. What I read is that we don’t have religious speech rights. At least that’s what’s being enforced in the U.S. military. After these stories went viral on the Internet, Republicans in Congress launched aninvestigation, then introduced legislation to specify that religious expression is a protected right for men and women serving in uniform. Although President Obama originally threatened to veto the legislation, those protections were signed into law in December 2013. I’m sounding this alarm because freedom of speech is a fundamental right and without it we are driven into the underground to express our views and share them with others. Please do all you can to reinforce this right and to prevent it from being taken away. Changing the culture for Christ demands it. Freedom of religion and freedom of speech is guaranteed to United States citizens by the 1st Amendment to the United States Constitution. This is the most significant law that allows us to establish Christ in culture. But lately laws are being passed that inhibit that freedom. Perhaps the most disturbing part of this is the fact that Christianity is the main target of these new laws. I believe that freedom of religion and freedom of speech is under attack in the United States. I also believe Christianity is under attack and that is the main object of these new laws. But, what really is hate speech? According to this definition, if I were to say something that is considered offensive about another belief or another religion’s spokesman, there are laws in place that could be used to silence me and even get me arrested. 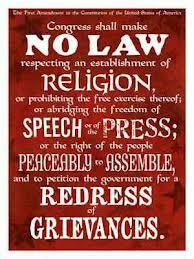 These laws inhibit my freedom of religion and my freedom of speech. This is very disturbing. Every Christian should be alarmed at this and together, we need to do something about it. I have several Muslim acquaintances that I speak regularly with about the things of God. I love them so much that I’ll do anything I can to help them see the truth of God’s Word and expose the error of their ways, so how can it be said that I ‘hate’ them? Am I wrong in what I am saying about Mohammad? According to the Bible, an “antichrist” is someone who says Jesus is not the son of God. Mohammad said exactly that. It’s recorded plain as day in the Koran. Mohammad, in the Koran, denies the Father and the Son. What does the Bible say about such a person? It calls the person who says such things a liar and an antichrist. It does not exclude Mohammad who this is, according to the Bible, both a liar and an antichrist. Read it for yourself. I am a Christian. I’m responsible to speak God’s Word and not change it in the process. If I change it, it’s no longer God’s Word. Am I hating people by speaking the truth to them in love? Just because someone is offended, is that a reason to not tell them the truth? I think not. To hate them would be to ignore them and not say a thing — that is hate. Ignoring something so obviously wrong in someone’s life without trying to help them is the worst form of hate there is. The purpose of this article is to help you see that our religious freedom is under attack. Our freedom of speech is under attack. The object of this attack is to silence Christians. I must also say that it ‘s not only in the United States that this attack on Christianity is occurring. It is prominent worldwide in even greater proportions. Our very right to state and criticize what is wrong is under attack. When this takes full root, it will become nearly impossible to preach the gospel as it is, in truth, without suffering some kind of repercussion from our own governments. It’s time for us to wake up to what is going on around us. If we don’t stand up for what is right, who will? As our freedoms continue to erode, if we take the easy back seat and don’t say anything, we deserve their infringement. But if we take a stand and get involved, we can move mountains with our Lord Jesus Christ. You and I currently have freedom of religion and freedom of speech in the United States. Be bold in the Lord. Don’t be afraid what man can do unto you. If you are familiar with the Scriptures you know this is what the Bible teaches. We want to ingrain God’s Word in culture and having freedom of religion and freedom of speech is fundamental to making that happen. Use it for God’s glory. Love people by speaking the truth in love.